We're going to make a 3D-Lizard in this blog. 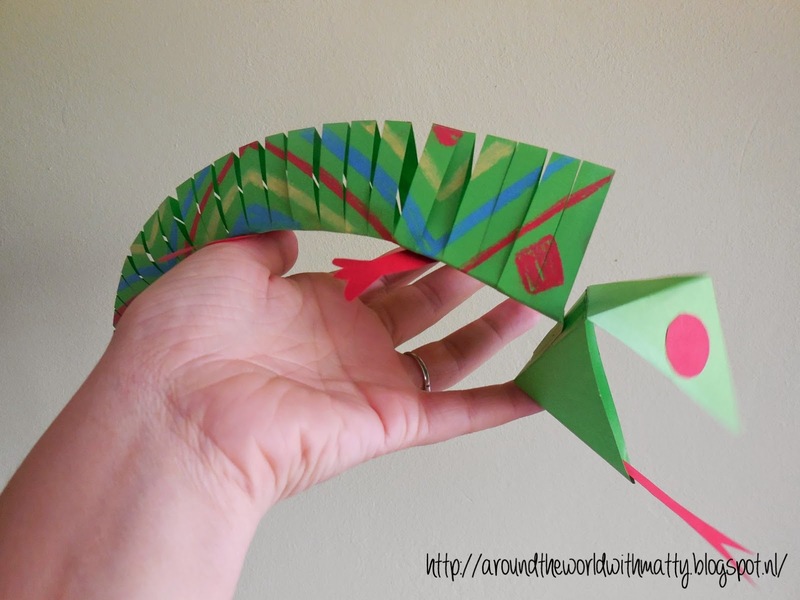 I've been a little lazy making this blog and didn't make much photo's while making my lizard. So I'll be linking you to two other blogs where you can find a step by step picture instruction. First we're going to make the 3D-lizard head. I found a blog named ElemanteryYartFun with instructions. here you'll find a step by step instruction. When you finished the head you can decorate it with a tongue and eyes. Or even with spikes and more. Now we're going to make the body of the lizard. You'll find the instructions on Artolazzi blog. Note that you have to read from the bottom to the top of the blog. Make sure you color it before gluwing it together. 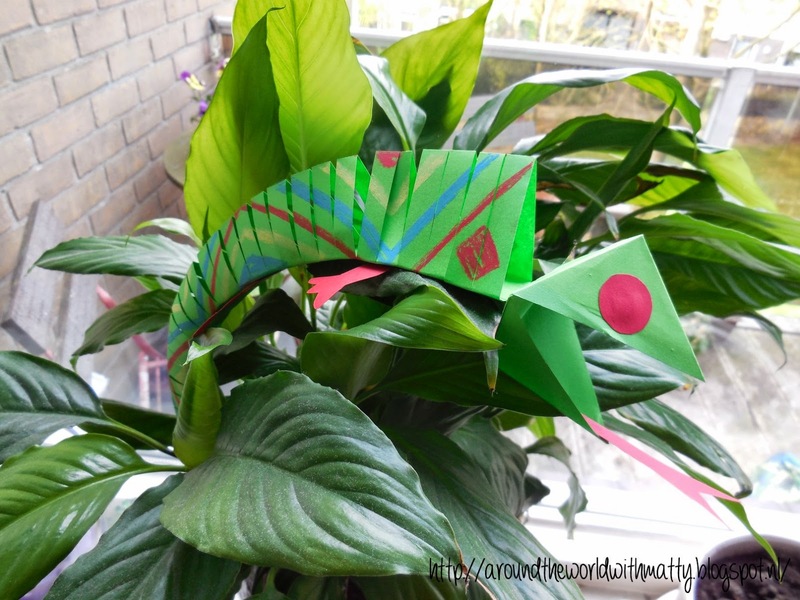 Hope you have lots of fun making your own lizard!